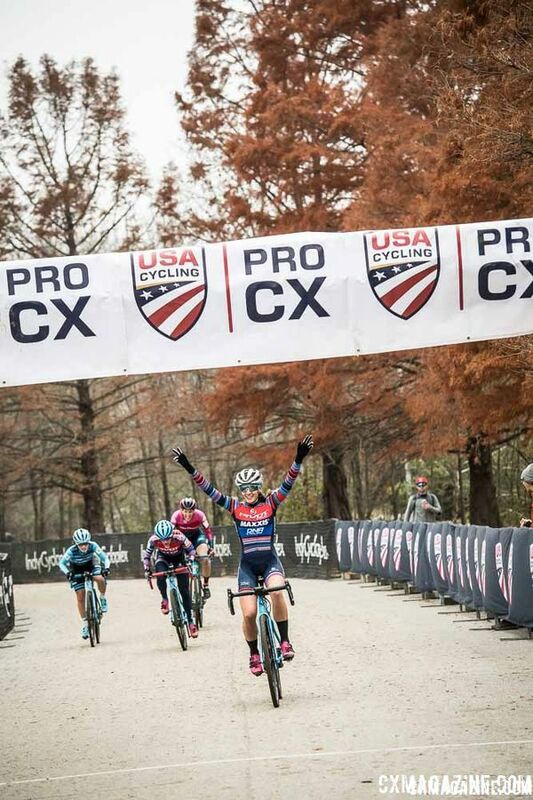 The two Elite races on Day 2 of the 2018 Major Taylor Cross Cup in Indianapolis delivered two exciting finishes. 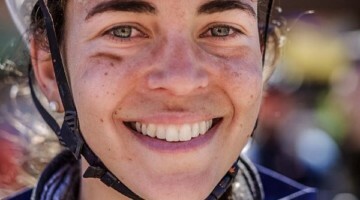 Sofia Gomez Villafane (Pivot Cycles/Maxxis p/b Stan’s/DNA Cycling) beat out teammate Courtenay McFadden (Pivot Cycles/Maxxis p/b Stan’s/DNA Cycling), Emma Swartz (Trek Factory Racing CX) and Sunny Gilbert (Van Dessel) to take her second win of the weekend. 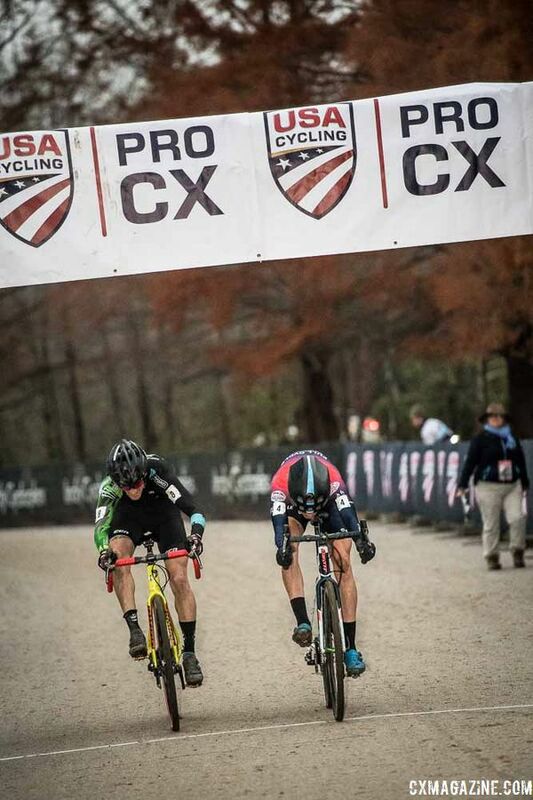 Eric Brunner (FCX Elite) topped Drew Dillman (SDG – Muscle Monster) by inches in a sprint in the Elite Men’s race. 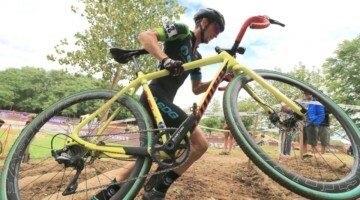 In the Junior Men’s race, Andrew Strohmeyer (CTS Cycling Team f/b Organic Valley) won his second race of the weekend. 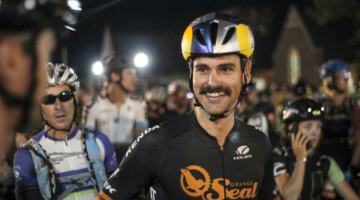 Cyclocross Magazine contributor Brandon Grant spoke with the three winners after their respective races. You can listen to what they had to say in the videos below.